Nha Trang is a beautiful beach town with a busy city center and loads of sightseeing activities! From Hoi An you can take a 12 hour bus for around $15. They tend to vary their travel time quite dramatically, so we arrived at 4am in what seemed to be the middle of nowhere. Eventually we coordinated ourselves to the beach for a nap before checking in. From Ho Chi Minh you can take a 10 hour bus for a similar price. The town centre is near the beach, so if you stay near either you will be in a good location. For those wanting to meet people and party, I would recommend Backpacker house which is about a 5min walk to the beach. They had a great bar connected to it which became lively every night and was great for meeting people. Their free cooked breakfast was also great and extensive. The only downside was the lack of bathrooms (only a few had hot water but we managed). 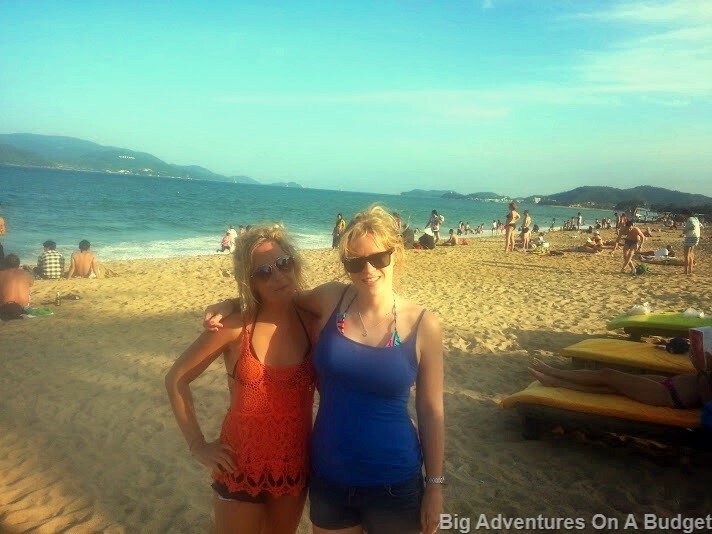 The beach in Nha Trang is gorgeous and deserves some quality time. They also have cheap massages available at your sunbed which are to die for. I spent an afternoon walking around the main streets and laneways to get myself orientated and saw some great shops and authentic eateries. This is just a 10min taxi ride from the centre and is a great half day trip. 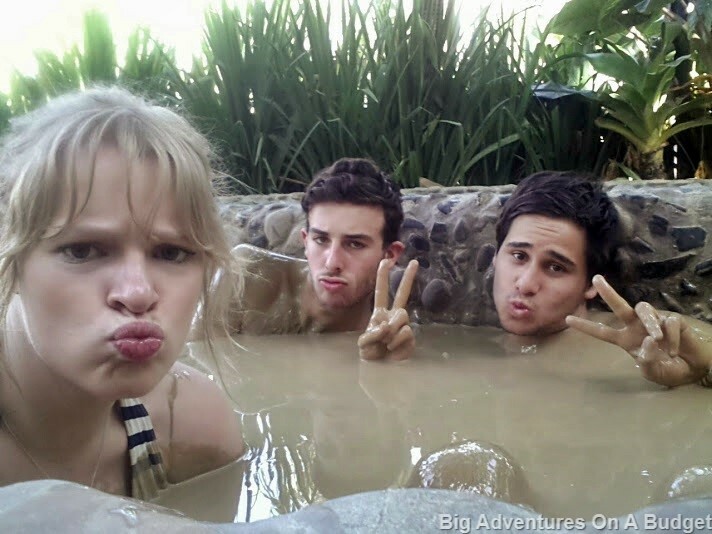 It is a spa retreat full of relaxing mud baths poured fresh for you and your friends. 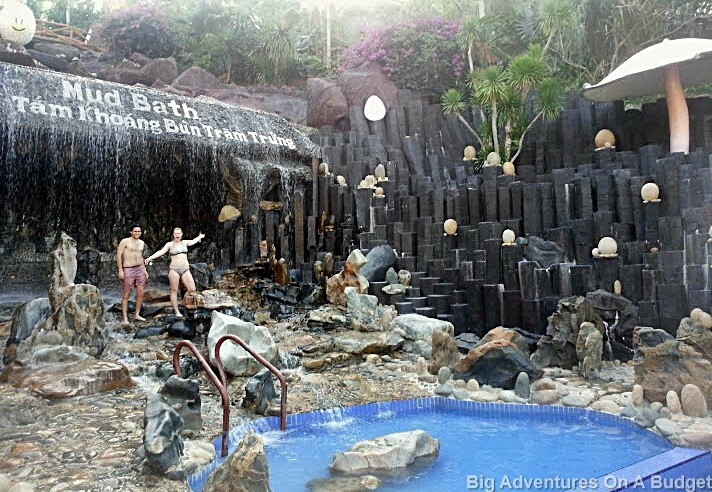 There are also fresh water spas, mineral rain showers, swimming pools, jacuzzis and waterfalls. Entry costs $10 and is well worth it! 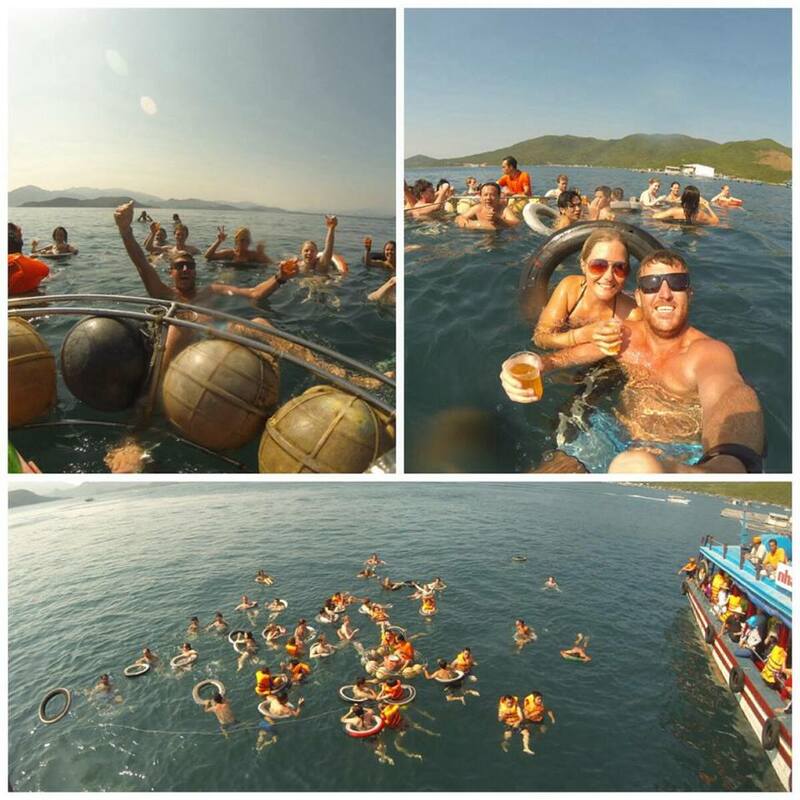 There are many companies that provide day boat tours going around islands off Nha Trang for around $8. I did one with Funk Monkey organised by Backpacker House but there were many others. You spend the day cruising around and island hopping, however the island beaches aren’t as good compared to the mainland and you have to pay entry to get onto them. Instead we stayed on the boat and sun baked on the top deck and had a swim. They did some pretty fun karaoke, a ladyboy show, a floating bar and also provided an absolute feast for lunch. My friends and I had a great time! 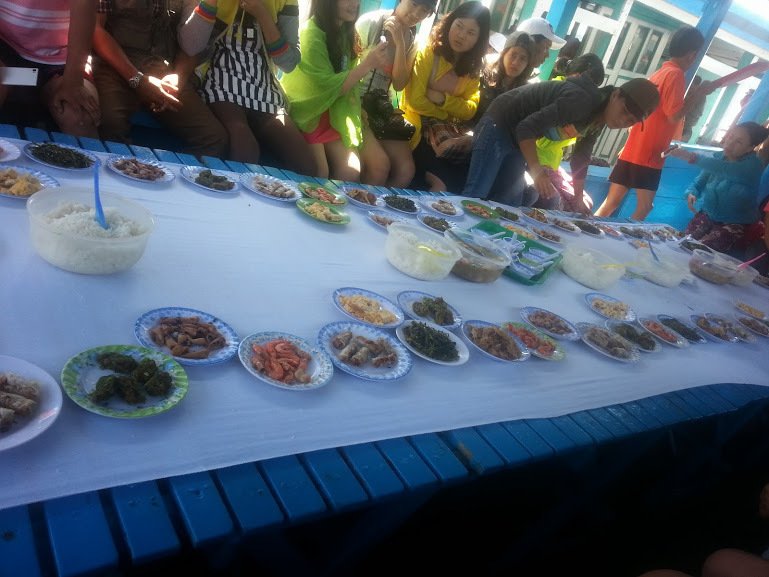 Buffet lunch on the boat! This is a great day trip and is about an hour drive out of the city, which can easily be done by scooter or taxi. 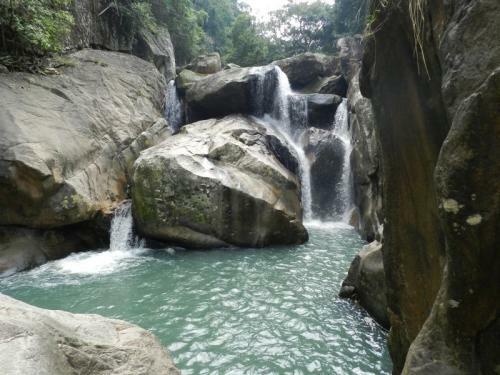 There are beautiful waterfalls and pools which you can walk and hike between. This is a well known restaurant through traveler word of mouth and so it should be! 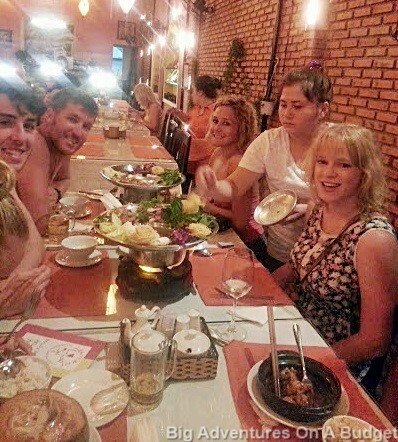 We had beautiful make your own pho type dishes and it was an absolute stand out dish. Our hostel the Backpacker House had a great bar where all the backpackers seemed to flock, so we started drinking there every night to meet new people. The other popular bar was ‘Why Not’ bar which we usually went to after our hostel bar. It had mostly foreigners but a lot of local students too which was cool. They had great music, big beer garden and cheap drinks (what more could you want?). There were also beach parties on almost every night, however they had an entry fee of $10 or so that we didn’t want to pay for. Be cautious: We met a lot of locals at our hostel and restaurants who warned us not to take our phones or wallets out to bars with us. They suggested to just take some cash that you will need and an ID. 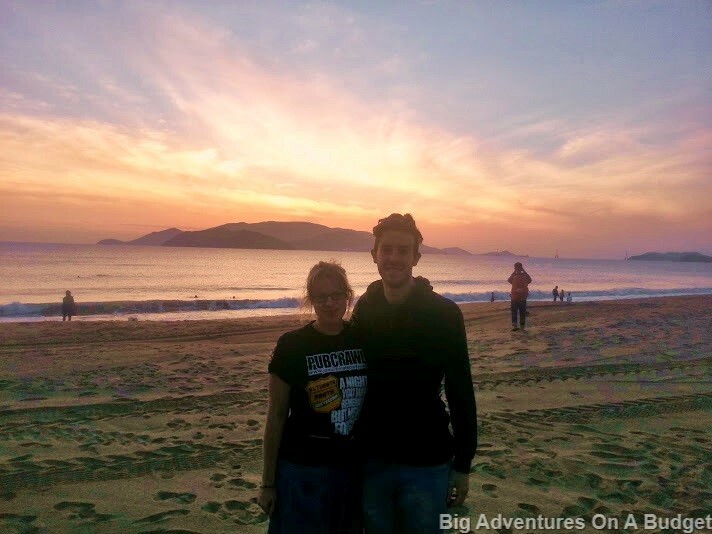 We didn’t encounter any problems in Nha Trang but the fact that they all consistently told us the same words of advice must mean it happened somewhat regularly. I would recommend staying four days as there are a lot of great activities and day trips to do, plus any more time you want to relax on the beach. This entry was posted in Asia, Vietnam. Bookmark the permalink.